Since we're still in the new year mood, I figured that it might be good that I start the first post of the year with this entry. If it is one of your resolutions this year to read more books, or even write more, then perhaps this is quite fitting. Lydia Teh's 'How I Wrote Ten Books' (HIWTB) is a lot about her own journey as an author. I think in many aspects, the books is a memoir on its own as Teh breaks down systematically the processes involved. From identifying her readers to marketing campaigns, she goes step-by-step into her concerns and her triumphs; all in relation to her writing and getting her books published. It's very easy to read - I finished in just a couple of hours. To a certain extent, the book can be a little disjointed but I like that it's organised this way because that means I could read it in parts. As always, Teh is true to herself and I've liked her books because they're always very witty and honest. Teh's not afraid to disclose her past mistakes and she'd even go into details on things like why some books work and some don't - things perhaps most of us would find embarrassing to admit. Some may pick up such a book expecting to finish it knowing what to do and how to do it - there are plenty of examples from Teh here. Teh has a lot of insights on her journey, like what worked for her and what didn't, so pick up those that might be relevant to you. One of the things that stood out for me is that Teh's story reminded me a lot about the power of networking. I personally don't find HIWTB as a cheerleader-style kind of writing to inspire you to write and get published. It's a lot more than Teh sharing what is the art of good writing, or the craft. Rather, there are little nuggets waiting to be found within the book, like what was going on behind the scenes in the industry and the various aspects of book promotion, especially in local context. I think these are extremely valuable advice, given that Teh is of one of the most famous Malaysian authors in the 21st century. 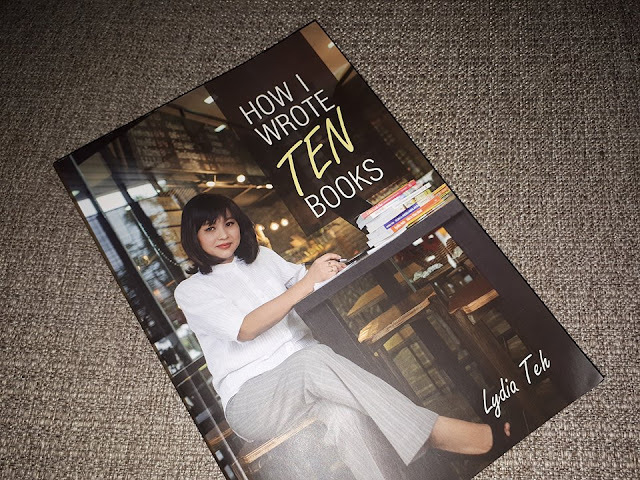 You can purchase How I Wrote Ten Books online here from MPH. PS: Huge thanks to Lydia Teh for sending a copy for the review. I enjoyed it thoroughly! Hi Ruxyn, thank you very much for this review. Much appreciated. Hope you don't mind that I've shared it on my FB page.